Jeff Dixon, co-founder and Chief Financial Officer of Provision Concepts, will be our speaker in January. Jeff will speak about how he and his business partner Aaron grew a dream into a reality in just a few short years. Starting at zero in Aaron’s garage, they are headed for a forward looking $25 million dollar company in 2020. He’ll discuss what’s made him successful, what he’d do differently, and how he’s going to get to $100 million. Jeff spent the first 18 years of his life in Weatherford, a little town in western Oklahoma, before attending Oklahoma State University. 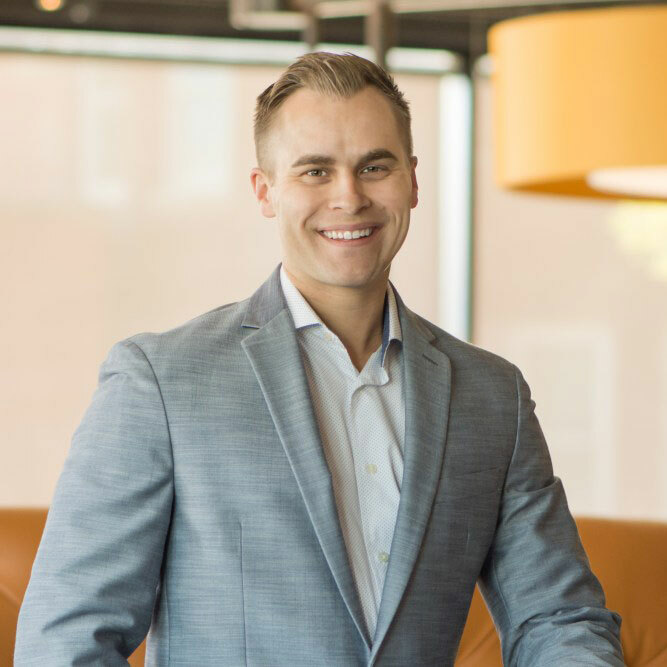 While in Stillwater he obtaining his Bachelor’s Degree in Hotel & Restaurant Management, then moved to Edmond, where he’s lived for the past 15 years. Prior to becoming self-employed, Jeff worked in all facets of the restaurant business from being a General Manager & Proprietor for the Hal Smith Group to flipping burgers in his home town. While the majority of Jeff’s work experience surrounds the restaurant life, he’s proud to share he even mowed lawns as a kid and even threw a paper route. Financial Advisor was even Jeff’s title for a short stint, in his path to being where he is today. Jeff has a beautiful wife, Jessica, of almost 14 years, and two children, Braiden almost 12, and Brielle, almost 9. They reside in Edmond and enjoy attending Life and Victory churches and supporting their kid’s soccer and gymnastic activities. Provision Concepts, one of Oklahoma City’s premier up and coming hospitality management companies, was founded in 2013 by Jeff Dixon and Aaron Soward. They corporately own 6 restaurants, have a 7th under construction, an 8th recently announced, and 3 others in LOI phase. During their explosive growth phase, they have created concepts Broadway 10 Bar & Chophouse, Sidecar Barley & Wine Bar, Hatch Early Mood Food, Birra Birra Craft Pizzeria, BiBi’s Craft Ice Cream, and acquired West in late 2017. They started at zero in Aaron’s garage and currently have 350 employees. Beyond their 11 desired corporately owned stores through 2020, they are actively holding engagement discussions with Franchise Attorneys for growth opportunities outside of the Oklahoma market.